A half moon (semi-circle) shaped shelf for use with our chrome wire shelving bays. 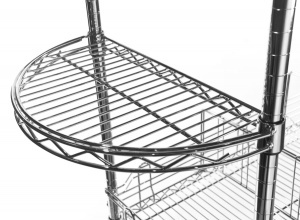 This handy accessory is designed to be attached to the end of a shelving unit to create extra storage capacity. An ideal and affordable way to increase your overall retail display area or increase stockroom capacity. 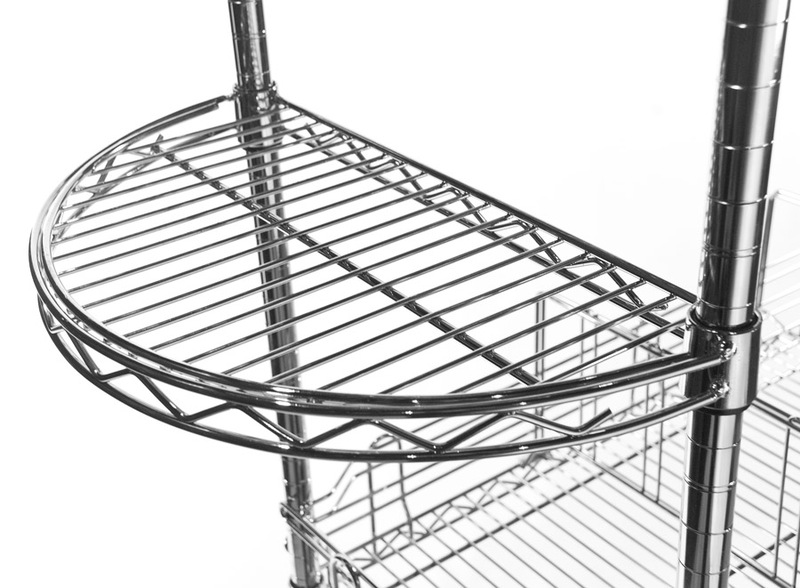 Part of our extensive range of chrome wire shelving accessories.